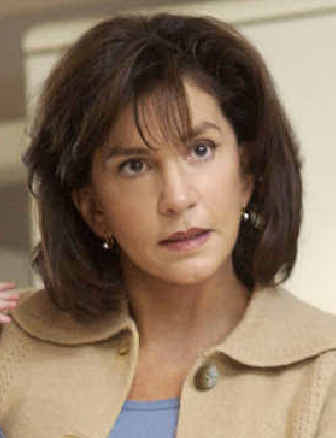 When Mercedes Ruehl was sent the script of the Lifetime movie “Mom at Sixteen,” nobody involved with the production knew how personally connected she would feel to the story. As a young woman, Ruehl had given birth to a son and reluctantly given him up for adoption because she didn’t have “the emotional development or the economic capability” to raise the child. She located him years later, and through trial and error and therapy, they forged a close relationship. He’s even godfather to her 7-year-old adopted son, Javier. In “Mom at Sixteen,” airing tonight at 9 (cable channel 51 in Spokane, 30 in Coeur d’Alene), Ruehl plays Terry Jeffries, who decides to raise her teenage daughter’s baby as her own son. Jane Krakowski co-stars as a guidance counselor who helps the Jeffries find a better way to deal with their predicament. The film includes improvised scenes in which the teenage actors who play students in the counselor’s class open up about current sexual mores. Ruehl wryly notes the real reason she got offered the role of the controlling mother was, “They were looking for a Mercedes Ruehl type” – and the director, Peter Werner, had the sense to ask if the real Ruehl was interested. The movie did, however, play a part in her reconnection with her long-lost son. Before they first met, he learned that she was an actress in the film. “So he went out by himself late one night, rented ‘The Fisher King,’ watched the whole thing, not knowing if his mother was (co-star) Amanda Plummer or myself,” Ruehl recalled. Over 40 by the time she won the Oscar, she was aware that film roles would probably get scarcer as she got older. In 1988 she had been the jealous Mafia wife in “Married to the Mob” and Tom Hanks‘ mom in “Big,” but major film roles in the last decade have not come her way. She also won a Tony for “Lost in Yonkers,” as the childlike aunt, a role she reprised in the 1993 film adaptation of Neil Simon‘s play. Now she’s back home in New York starring in the one-woman play “Woman Before a Glass,” as art maven Peggy Guggenheim. Actor Al Freeman Jr. is 71. Actor Timothy Dalton is 59. Singer Eddie Money is 56. Singer Russell Thompkins Jr. (the Stylistics) is 54. Actress Sabrina LeBeauf (“The Cosby Show”) is 47. Actor Gary Oldman is 47. Actor Matthew Broderick is 43. Actress-comedian Rosie O’Donnell is 43. Disc jockey Premier (Gang Starr) is 36.